The following information only applies to customers with systems that utilise a Digital Communicator (DigiCom) to send alarm signals to our Alarm Receiving Centre (ARC). DigiCom has been used within the UK for about twenty years or more, and uses similar technology seen in use for fax machines and old dial up modems. In the UK telephone networks are undergoing changes to upgrade the lines for higher speed broadband, which will over time replace an essential component used to send the signal; therefore, BeSure Security Systems are working to ensure your system is ready for the network changes. For a limited period we are offering our DigiCom customers a Special Offer in order to prepare them for the upcoming change, so making sure our customers are not put at risk. For our Special Offer we are providing an install and commission of the new DigiAir® system at the time of your next service visit, FREE OF CHARGE, and the DigiAir® system hardware will even come with a new 5 year warranty. 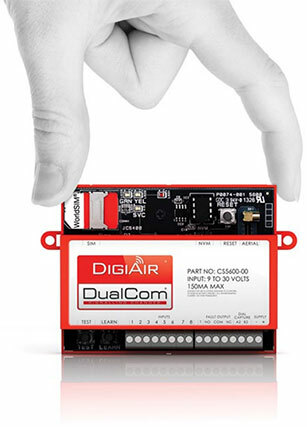 After the offer has ended the install cost for DigiAir® will be between £150 and £250 + VAT, which will depend on your system.